SOLD in 5 days for $30,000 over asking, yours could be next! Impressive and Immaculate! Good view, good neighbourhood. A lovely living room welcomes you to this 3,355 square foot house you will want to call home. Front deck with view. Awesome two storey great room with lots of windows, built in cabinetry and rock fireplace. Entertainers dream kitchen, stainless steel appliances, gas stove, large granite island and pantry. Spacious eating area that leads to the pleasant rear yard with covered patio and shed. 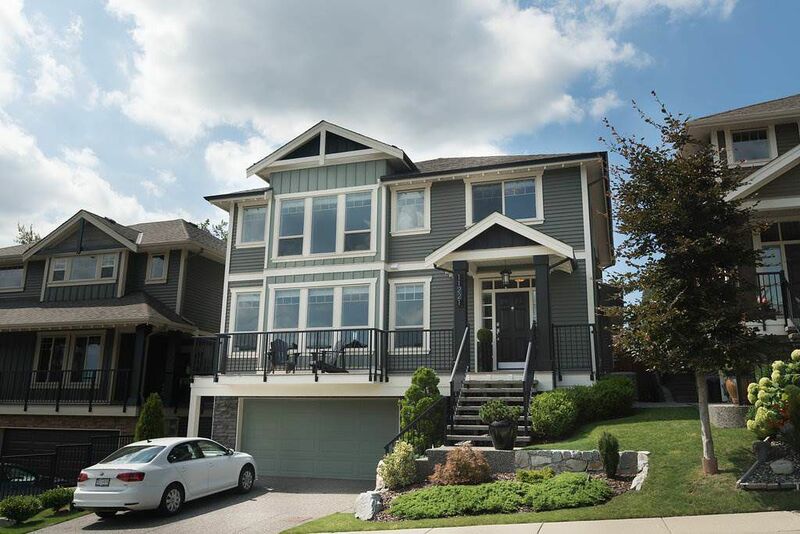 Massive Master has a vaulted ceiling, big walk-in closet and nice five piece ensuite. Laundry Room upstairs. Down has fourth bedroom and large rec. room plus bonus storage room. Lots of extras include laminate flooring throughout main, air conditioning, granite counters, electric remote control blinds in great room, landscaping complete with lighting, concrete front steps, millwork throughout, built in vacuum and security system. Act Fast, Won’t Last!